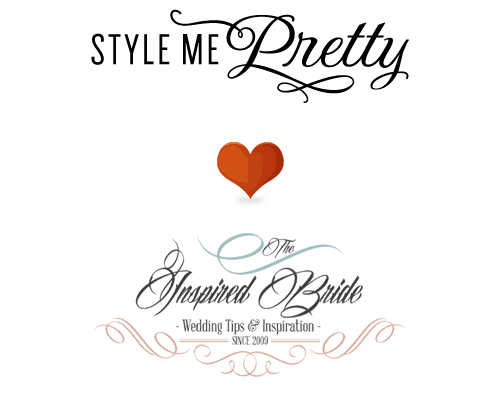 The Inspired Bride Joins Style Me Pretty Contributor Network! Here at The Inspired Bride, we love bringing you the latest, funnest and most exciting wedding news, tips and ideas. Whether it’s the latest in designer wedding dresses, tips on slashing your wedding budget or recipes for a killer reception cocktail…you can count on us! We are truly honored to join such an exclusive network of blogs. The contributor network is made up of blogs that are “style-driven,” so just a quick glance through the content will delight and inspire you. It’s literally one of the best resources for a bride-to-be on the internet today. We are so happy at joining the SMP blogger family, and we look forward to continuing to provide up to date and quality content for our brides-to-be!